Imagine this..your own private island. But think cold weather instead of hot with the Igloo Village Stockhorn in Switzerland! One of the types of rooms that they offer at this season hotel is the Island Igloo, a private igloo on the island on frozen Lake Hinterstocken. Igloo Village is built each year anew in various locations throughout Switzerland and Germany. 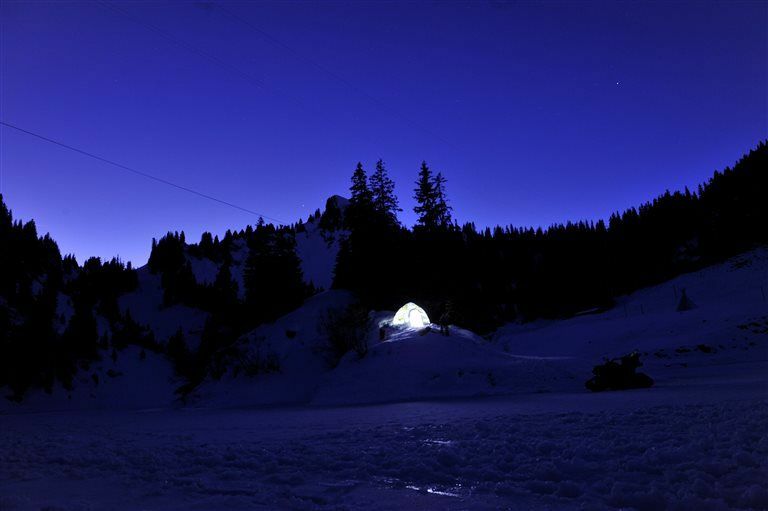 At the Stockhorn location, enjoy an aperitif in the Igloo Bar, followed by a 3-course meal in the heated Hot Igloo, snowshoe walks, and viewing platforms. Chill out at the Igloo Village!